"Naughty or Nice" Holiday Shopping Party! Monday, Dec. 19th, 6-9pm...great shopping, big fun! 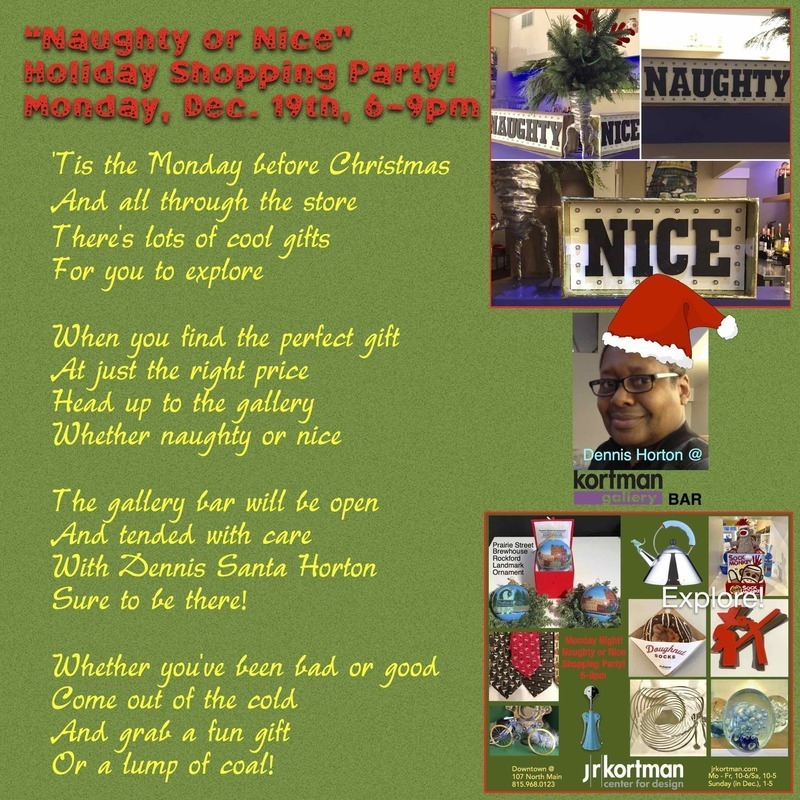 Don't miss the 2nd annual "Naughty or Nice" Holiday Shopping Party!...this Monday, December 19, 6-9pm @ J. R. Kortman Center for Design. It's a fun evening of shopping, and when you make a purchase, find out if you've been naughty or nice, upstairs in the Kortman Gallery! There, you'll get a chance to reach into Santa's grab bag for a fun gift, if you've been nice...or possibly a lump of coal, if you've been naughty. Only you and Santa know for sure! And, of course, bartender Dennis Horton will be serving up some holiday cheer from the Kortman Gallery Bar. Chirstmas shopping has never been this much fun!